The “C” in CRM, stands for Customer. 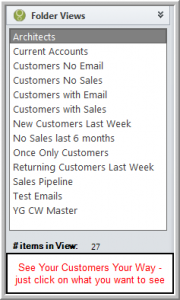 Why do so many CRM software programmes start with Prospects? And then maybe tack on some sort of accounting link as an optional extra? youGROW™ commenced in 2005 by interfacing the customer and sales information already in MYOB, Retail Manager and Ostendo. 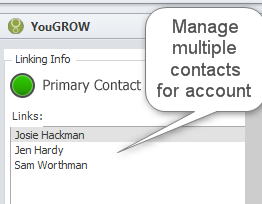 In 2007, youGROW™ added Sales Pipeline Management. With youGROW™ the customer always come first. Then youGROW™ is just what you need.